This is going to be a great match. With both are water signs, they share good common qualities. With a soft heart underneath the hard shell, you have created for yourself out of security. But the shell is only for the outside world, when together, you both are as tender as a flower. You both are caring, kind-hearted, and very sensitive. 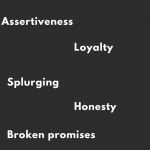 All these qualities make for a very romantic couple. As being good homemakers is your major trait, say hello to great afternoons making lunch and cooking with love. You both are super compatible so you will enjoy each other’s company a lot, that means hours of good kisses. On the downside, this can easily become a locked room situation which will limit the growth for both of you. You both need to head out and get social. Don’t make the world with just the two of you, make common friends, host get together as both of you are great hosts. With both of you have a problem with mood swings, you need to never stop communicating, which means slammed doors are a big no. 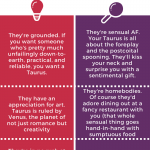 Now Pisces love compatibility and Leo are two very different signs. Pisces is sensitive and emotional water sign, whereas Leo is a fire sign with the native quality of leadership and confidence. 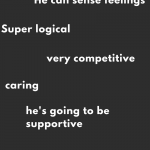 This can actually become a great match as Pisces require a confident partner and Leo needs the sensitivity and care. Both are heart driven signs. Both are very romantic by nature and this will start as a love story from the movies. The main thing is to understand each other’s emotional plugs. The problems arise when native insecurity of Pisces compatibility comes out. They may start criticizing Leo, which is a result of their self-doubts and insecurities. Leo is very controlling, always tackle a situation by themselves. They should give the tender Pisces a chance to glow. Pisces have great creativity and instincts but they may be overshadowed by dominating Leo. In order to get through this, you both need to understand each other and work as a team, and this can work out pretty well. Now this has a lot of potentials to be a great match. As Pisces is a water sign with sensitivity, kindness, and natural gift of easing other’s pain. The earth sign Virgo is practical, kind and always ready to help others. These are two opposite signs. But with that been said, you can learn a lot from each other. Virgo is selfless and contributor, which is good but makes it hard for them to take anything as they perceive this as weakness. Pisces on the other hand, know their limitations and accepts the energy from the surroundings. Pisces will teach Virgo the ability to accept, and that love is a great contribution. The sensitivity of Pisces compatibility can overthrow Virgo. Both of you need space and time alone to rediscover yourselves. Love for art, music, and creative things are the common factor between you. Meditating together can strengthen your bond further, as you both can easily get depressed. Now this is a mismatch that may seem as a great match. Pisces being a water sign and Libra, an air sign, can really combine in a romantic, passionate and sexual engagement. Both signs are natively imaginative so getting lost in your own romantic world is an understatement. The time will fly as you both will get lost in each other’s eyes. So much so, that people will start to envy your connection. The immense pleasure of each other’s company will be priceless to you. But sooner rather than later, reality is going to kick in. Amidst your passionate love will come the harsh realities of life. The neglecting outer world will harm you financially and socially. This will cause you to blame each other and it will get dirty. The obligations and sulking will get you depressed. The key to avoiding all this is a balance. While the imaginative world may tempt you from being real, keep your reality in check. Be a team and create an equilibrium and the sail will be smooth. Well, let’s be honest! This one has all the ingredients of being a catastrophe. The sensitivity and compassionate nature of Pisces compatibility connected to the oblivious and inconsiderate Sagittarius, cannot be a bigger mismatch. Well, it can still work out if great care is taken. Pisces is a die-hard romantic while Sagittarius is very practical and independent. Sagittarius feels that emotions hold you back and is very insensitive. Sagittarius is fire sign and Pisces compatibility is a water sign, which again is a great mismatch. For this to work, a great balance is necessary between the opposite traits. Sagittarius is in-your-face honest, and lays the hard truth boldly, even knowing that it may hurt people. Pisces are not very direct, always neglecting issues and try to keep as much harmony as possible. Then again commitment is not the best quality of the two of you. But since both of you are very imaginative, Pisces love for fantasy and Sagittarius crave for adventure can get both of you on the ride to the promise land. Well only until you can balance the real life hurdles and differences. Don’t let the imaginations get the best of you and keep a reality check on things. This may look like a mismatch at the start, like a princess paired with a thief. But these signs really go well together. 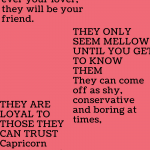 Capricorn is very proper and respectful and neat. Pisces is more on the artistic side, a fish which goes with the flow. Capricorn may look like all sorted and well-organized outside, but on the inside, Capricorn is dominating and punishing. Which may play out well as Pisces tend to be more of a submissive kind. This can be a real treat in the bedroom for both. With a common liking for art and music, this can make some great quality time. Keep expressing your love to each other as true love always makes other problems fade away. If you both get through the mirage of the outer self, then you can truly become great companions, may be for life. This is a fascinating mixture of modern with deep-rooted signs. If we take architecture, for example, Pisces is the ancient marvel with stone walls, chandeliers, and velvet drapes. While Aquarius is the modern structure of concrete and abstract design with technology. With some common interests and deep love, this can work really well. Compassion is a major trait for both and this will play a big role in keeping you together. As being a humanitarian is your natural instinct. The water sign Pisces is very sensitive and thoughtful as compared to the Aquarius which is an air sign. The lighter approach of Aquarius takes Pisces away from worries and depression. As imaginative Pisces compatibility takes practical Aquarius away from the harsh realities. The sense of mystery of not fully understanding the other makes your attraction stronger. But with a mysterious Pisces on hand, it may be a little overwhelming for poor Aquarius. By understanding you partner and adapting a little will do wonders for this relationship. It’s easier said than done, though. Pisces compatibility has a symbol which depicts two fishes swimming in opposite directions. This is a strong symbol of confusion and dilemma. Self-doubts about whether you love each other or not. Of course, as partners, you both are very sensitive, romantic and full of fantasies. This can surely make for a great time together. But since you both are not very direct while communicative, things can get to a dead end making it impossible to understand the other’s problem. As the disconnection and going into the proverbial shell makes it that more difficult. When this all boils down to the outburst, it’s destined to get ugly. When the doors start slamming and miscommunication phase increases, things get more annoying and issues increase. With being a little more considerate and communicative, this can resolve and you can live happily ever after. With Pisces compatibility being the first zodiac sign and Pisces being the last, we have two signs who are a mile apart. Like sunrise and sunset, you are as different as one can get. But as the law is “opposites attract”, the spark is meant to be between the two of you. Pisces is generous and caring, and Aries like to be pampered and loved. With Pisces almost worship the one they love, Aries feel wonderful and secure by so much love and appreciation. Aries is allowed to lead the way as Pisces is just happy with the love and is willing to go anywhere with the free bird Aries. As both of you are highly imaginative, it is a blessing and curse situation. In romantic situations it’s a great treat as both of you can gaze into your own little world. But in reality, Aries like to be the leader but needs a strong partner to guide in tough situations. Pisces have native self-doubts and insecurities which won’t help much. Ab being moody is a common trait of both, things can get a lot turbulent if not handled with care. You both need to get social and frequently get advice from friends and family, which will help you in various aspects of life. A little adoption of each other’s communication style and things will go great. Now this is a great romantic match. With both signs are high on sensuality, this couple can surely reach the higher levels of pleasure. You both share some great traits as love for art and culture, good wine and food. With both being very passionate and imaginative, there will be a lot of endless romantic moments for you two. 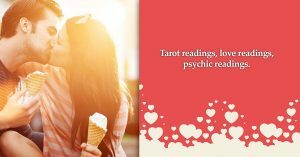 With Taurus like to dominate and Pisces love to be submissive in love, you need to be careful and balance things or it may feel like a master-servant relationship. Pisces must adapt little assertion and stop being so passive. Taurus also should let go a little and chill out. With Pisces being natively secretive, this may cause suspicions in Taurus mind. There has to be enough transparency to make the trust level always on a high. Taurus like the direct talk and Pisces love compatibility are known to be indirect so adoption of each other’s communication style is a must. These are two similar signs when it comes to the symbols, Gemini is depicted by twins and Pisces compatibility by two fishes. With both signs being phobic to commitment, how does this work out? Let’s see. With Gemini being cold-hearted manipulative master, the sensitive and needy Pisces can find warmth and coziness in Gemini’s heart. Everyone has some bad qualities but that doesn’t mean they don’t have good ones. By becoming each other’s guiding light, you can certainly do very well together. For that, both need to be transparently honest with each other. This will remove your differences and strengthen the trust. Pisces being a water sign is extremely emotional, and the air sign Gemini is very rational. With a nature of being a little too emotional, Pisces needs to relax a bit, and Gemini must work towards this to make Pisces less insecure. Appreciating your partner always helps in showing your love. It shows your satisfaction and motivates them to indulge more. With some productive discussions and expressing of love, this can go well. 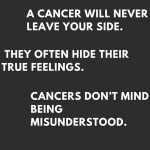 The secretive nature of Pisces man will increase the native insecurity of Cancer woman. You need to increase transparency and mutual trust. The delicate nature of both of you is both is a blessing as well as curse. Be a little more tolerant and things will ease down. The Leo woman should control her controlling nature. This may hurt the sensitive Pisces man and spoil things. With the sense of security Leo man provides, Pisces woman will be more than happy with him. Which in turn increase your bond as a couple. The true love and understanding between you too is the key of this good relationship. Keep the spark ignited and stay united. With both of you have the natural ability to understand others, this quality will help you a lot in maintaining stability in this relationship. As long as you keep replacing the other’s weakness with your strengths, this will continue to be like a fairy tale romance. The open-mindedness of Libra man can lead to some problems within both of you. You need to trust each other and be attentive towards each other. The old ghost of miscommunication will continue to haunt you if you don’t start doing something about it. Talk more often and express yourself freely. Things will be good and you need to keep your secretive habits to a minimum in order to not raise any trust issues. The compulsiveness of Sagittarius woman will make things more difficult. It is difficult match to be in, so hold on and let time be the healer. Sagittarius man must learn to bring some sensitivity in his behavior and stop being ignorant. Pisces woman need a lot of patience for this to work. This is very much like a fairy tale romance, but reality will sink in after all. The true love is the key here and don’t let it fade. Things will be difficult for peace woman to adapt the sophisticated society of Capricorn man. Now Capricorn man should make her feel wanted and show her the ways of this new phase. The mirage of mystery can become frustrating and also give rise to doubts in both of you. Things can go south if care is not taken. The thing that make both of you complete is each other. So continue being each other’s strength. The held back nature and dilemma will start taking a tool on you. You may start rethinking about this relationship. The dominance of Taurus woman can make the Pisces compatibility man more confused and a little consideration is needed. With the held back nature of Pisces woman and aggressiveness of Taurus man, things can become a lot problematic. Make each other feel at ease and you will be alright. The manipulative ways of Gemini woman can make Pisces man doubtful about her. Just don’t fix what is not broken and go with the flow. The Pisces love compatibility woman may come across as confused at times, but Gemini man should discuss with her and comfort her, be her strength.